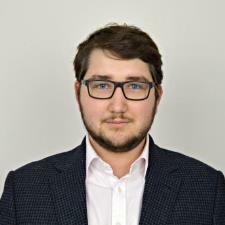 I'm a corporate finance advisor, former startup founder, and a recent MSc graduate from the London School of Economics. I immigrated to the United States when I was around 6 years old with my family, and from that young age, learning the English language and catching up to other students in the classroom was a challenge, to say the least. Thankfully, I had help from a tutor who reinforced my confidence in my academic abilities, made learning fun, and helped inculcate a deep sense of academic curiosity for years to come. For those reasons, tutoring has always held a special place in my heart, and I love having the opportunity to help others overcome academic hurdles to become the best students they can be. In the past, I've tutored everything from undergraduate economics to high school math and chemistry. Additionally, I have experience tutoring across the standardized testing curriculum, including the International Baccalaureate, ACT/SAT, SAT subject tests, and AP/A-level exams. Rate details: Generally, I am flexible on rate, and I usually charge a lower price for the first meetings, as I prefer to do an exploratory analysis of the student before we really get going. I was born in Moscow and Russian is my first language. I have been studying and reading Russian literature for the last 5 years of my academic career. Great tutor, super patient and makes the lesson fun! Rodion helped me a lot during our first lesson, especially with a paper that I’m writing. He was very patient and helped me expand my mind/thoughts. I would definitely recommend him to anyone!